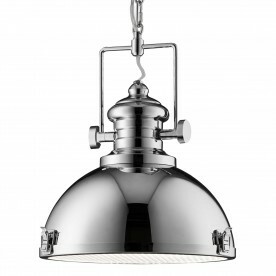 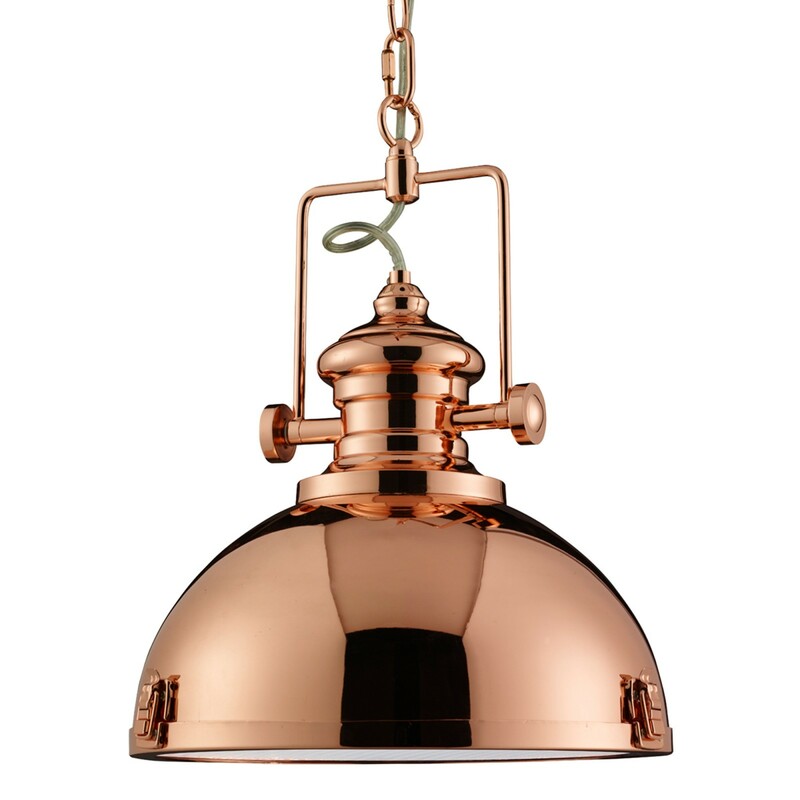 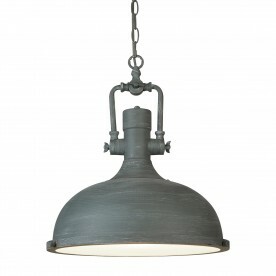 This Copper Industrial Pendant Light with Acrylic Diffuser has a solid industrial style with a traditional copper finish. 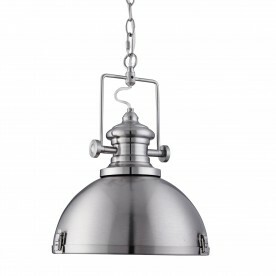 The dome shade has stylish, chunky metal features around its rim and its top, with a copper chain attaching it to the ceiling. 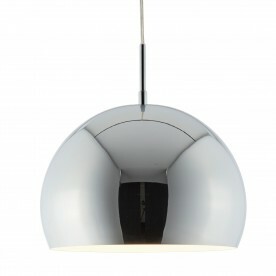 It looks fantastic in any post-modern living space, and the clear acrylic diffuser creates a nice lighting effect for the entire room.